Agistri: a small green island on the Saronic Gulf with crystal deep blue water.The island offers you a relaxed, yet exciting holiday, whether you are travelling as a family, individual or with friends. 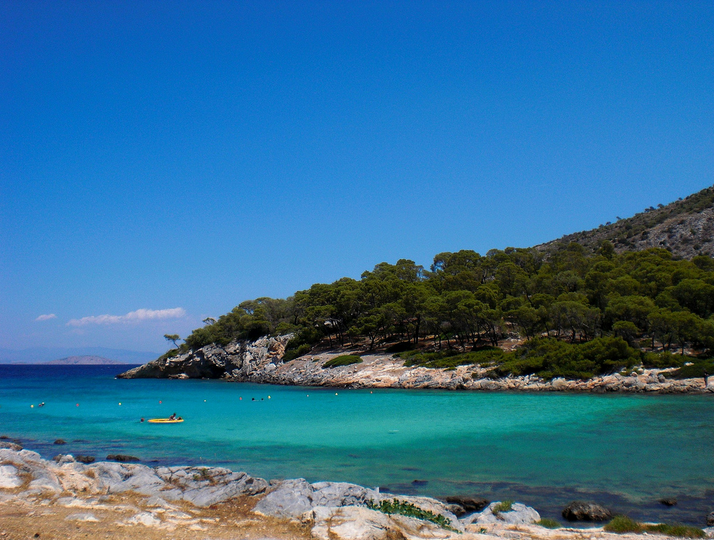 Discover the island through the pine paths, find your favourite beach or explore the hidden paths and caves. Agistri is also ideal for family holidays, with its gently shelving sandy beaches and inviting environment. The island is often described as the best kept secret of the Saronic Gulf and only 8 minutes away from neighbouring island, Aegina. It is also worth visiting the various archaeological findings at the Cultural Centre of Megalochori and the Greek Orthodox Churches.